I was indeed able to help her see that for us worship is an end in itself and not a means to an end; that the liturgy is - as the Orthodox say - “the earthly heaven” in which by the power of the Holy Spirit and through sacramental signs we are swept up into the eternal movement of Jesus’ love for the Father. It is to express this that worship is beautiful, liturgical, mystical and homely all at once. It is ordered without being stuffy. It is overwelmingly exuberant in joyful praise, while also - like the Psalter - it contains a deep note of lamentation signifying that our woundedness and pain as aspects of the suffering of creation - which will one day itself share the glorious liberty of the children of God - are part of the offering being made to the Father. In fact, from an evangelical Anglican perspective, the late Peter Toon had similarly written in 2004 that American and English Christians have a range of wrong ideas about the “purpose” of worship. Toon agrees that all these are things are characteristic - and MUST be characteristic - of Christian communities. But he also says that WORSHIP ITSELF exists for no human, practical purpose, even an exalted and noble human purpose. Worship has only the one purpose of seeking to please the Triune God in his holiness and glory. Peter Toon draws attention to the description of the the Divine Liturgy at Byzantium experienced by the Russian emissaries immediately before the Orthodox Church was invited into Russia. 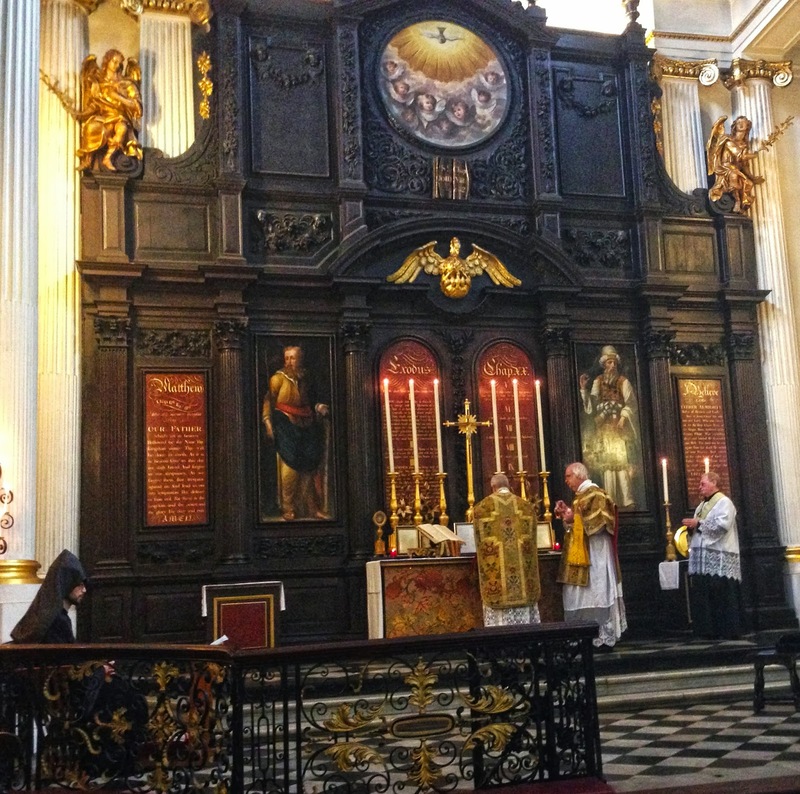 Today I had the great joy of going to a High Mass at St Magnus the Martyr, London Bridge, which has been a favourite church of mine since my first visit in 1989. The parish was once pastored by the legendary Fr Henry Joy Fynes-Clinton. (I took the photo above on my iPhone at the offertory today!) The occasion was the festival Mass for the parish’s Fraternity of Our Lady de Salve Regina. The Mass setting was the Missa Solemnis Op55 of Max Filke (1855-1911) and included the singing of Rossini’s O Salutaris and Salve Regina. The preacher was Armenian Orthodox priest, Fr Garegin Hambardzymyan, currently resident at St Stephen’s House, Oxford, while he completes his doctorate at Shefield University.